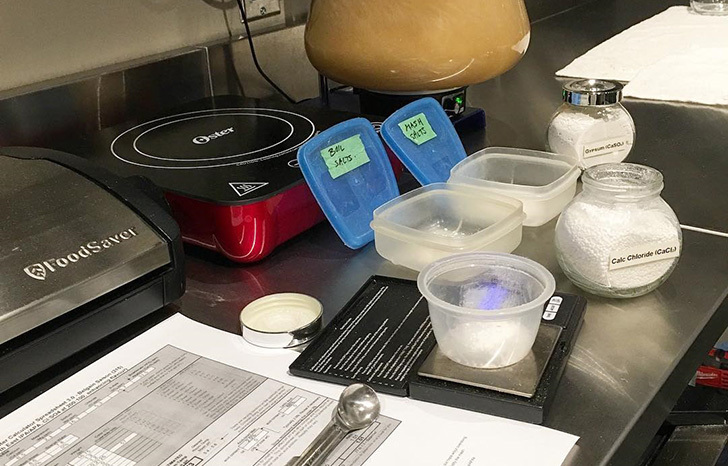 To measure the small amount of salt additions we use a jewelry scale with 0.01 gram resolution. Most standard scales have at most a +/- 1 gram resolution, which is simply not accurate enough as an average 5 to 10 gallon home brew batch will usually only require a few grams of salts. You could easily end up doubling the amount of salts required without knowing it. A jewelry scale that provides us with the 0.01 gram resolution we need can weigh up to about 100-500 grams maximum which is more than enough for our needs. (100 grams is about the weight of a standard sized deck of playing cards). We use small measuring spoons for scooping the various salts into a small plastic bowl on the jewelry scale, though just about any small spoon will do. We don't actually rely on the spoons themselves to measure our salt additions (that would not be very accurate). As we measure out the salt additions we dump them into two small containers that have been labelled as 'mash' and 'boil'. It's perfectly to fine to mix the salts. We typically measure out our salts the evening before the brew day. During the brew day the mash salts are added to the heated water in the Mash/Lauter Tun at the same time as the grain and mixed well with the mash paddle. The sparge salts are added to the Boil Kettle after we've come to a boil. 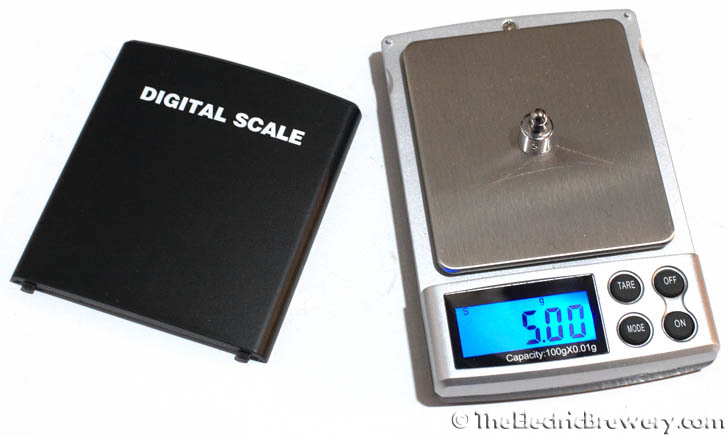 A jewelry scale is also perfect for measuring out hops and dry yeast that we purchase in bulk. 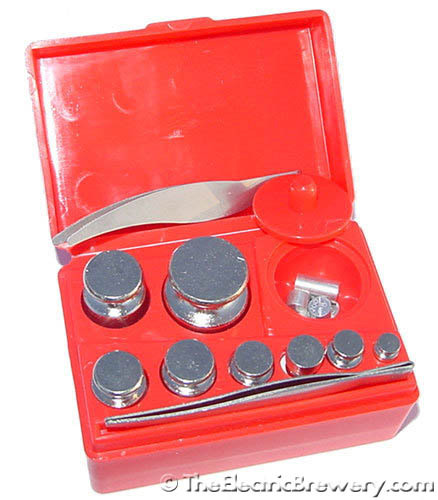 While our jewelry scale cannot be calibrated, we use a calibration weight kit (10mg to 50 grams) for ensuring that the scale remains accurate.